It's all really looking great! The Nun scene looks crazy! Want to see the crosses lit! Love the door stickers. Who made them? Brainstorm. Sorry I haven't been around but here are some updated photos! I've been pretty busy as you can imagine. Here is an update... The Darkness is almost sold out totally. I'm not going over the number we listed. The behind the scenes tour which if you ask me is the best tour of all of them... there is like I don't even know like 25-30 tickets left. Lemp has some tickets left but its I'm not sure 65 away from being sold out. Talked to Transworld they're interested in renting the Darkness to do a tour next year. If that happened there would be no updates made to the attraction. But honestly I don't even think I want to do that... I'm totally burnt out on tours. I'm looking forward to this one, and taking a very long BREAK from posting about The Darkness, building new scenes inside the Darkness, and just see what happens. Last Chance to attend Darkness tonight. Wanted to thank everyone who attended our Lemp tour last night!!! Also want to thank everyone who attended the Darkness behind the scenes tour. TONIGHT is Darkness with LIVE actors. See you there. Wanted to THANK every single person who visited our escape rooms, darkness and Lemp haunted house. We have done these tours every single year Transworld has been in st Louis. Let it be known that even though I helped create this show, and thought St Louis was the perfect home, it wasn't because I wanted to do Haunt Tours. Doing Haunt Tours never crossed my mind when I was working with Transworld on creating the first ever show JUST FOR OUR INDUSTRY! I didn't want to be connected anymore to a retail show, because was to many amusement vendors wouldn't attend a RETAIL show. I always saw the bigger picture, I wanted the haunt industry to grow and get better. St Louis in mind offered the best most central location fair to every buyer and vendor on travel. Furthermore St Louis offered the cheapest rates for the space, which in my mind would keep booth prices low so that more vendors could exhibit. NEVER did it cross my mind about doing haunted house tours. The tours came up as an idea by Jen not me... she was worried the show wouldn't draw enough buyers and felt by opening The Darkness that would help attract more buyers. Based on Jen's idea to open The Darkness for a tour, it really hit me like a TON OF BRICKS! Oh wait a second... open for the ENTIRE haunt industry no way. I was already taking serious heat from doubters this show would never work, how about we just focus on finding more vendors and enough buyers to make it work NOT a haunted house tour. I know some people aren't going to believe me but its true NEVER did I want to open. But after talking to Jen and the more I thought about it... I was like man I'm the one who's been pushing this idea of breaking away from the retail side if it doesn't work everyone will BLAME ME! So I said sure we'll do a haunt tour but just one... this caused some panic actually what will people think, what will they say, that is just way to much spotlight that honestly I didn't want. I'm not a person who likes the spotlight honestly. I get invited to speak here and there, and have yet to accept anything but working with Transworld. Anyway enough of that, but we opened and I rushed the construction of our new building, we went hog wild crazy renovating The Darkness, built Terror Visions from scratch, the monster museum, new sets, new props it was everything. And how did that haunt tour turn out? The Darkness got about 1.5 million dollar renovation which including building an all-new building (building Terror Visions is sitting in) which also added a new shop for us. It ended up as I expected with a TON of people being critical of everything we didn't do right... I learned from that experience, but initially I said I'm not doing this again. 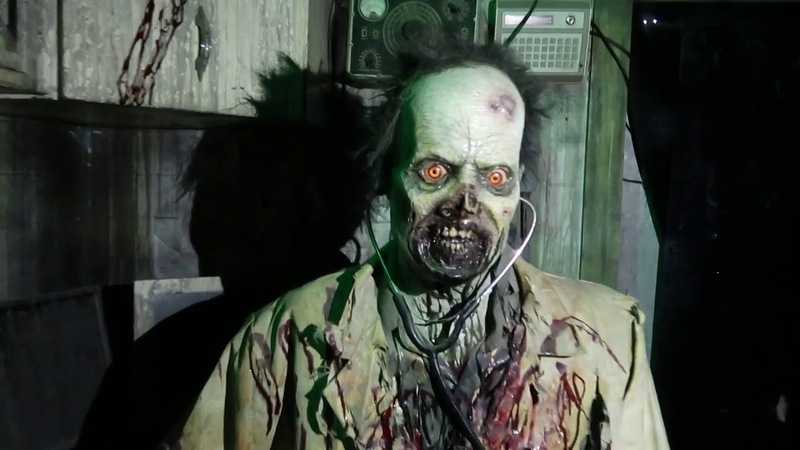 So to make a long story shorter I personally said I'm not going out like that and buckled up and did it again, and again, and again making how to DVD's based on the renovations, teaching many across the industry how to details their haunts. 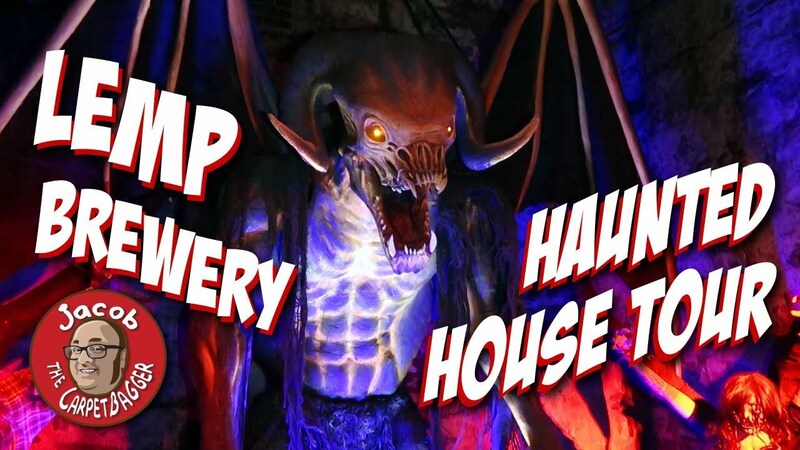 We shared our haunt, our idea's, pushed many vendors to make original never before seen products, and hosted over 15,000 guests during Transworld. I have always said I would NOT open if we couldn't do something new and exciting to showcase. Many said just open as is its fine... I can't do that its not in my DNA. So after 11 haunt tours I said I wouldn't do anymore. Many people during the show asked that we continue to do it... a couple times I thought about it, then after getting NO SLEEP one day, 2 hours another day, and feeling like a ZOMBIE the entire show, not getting to see the show itself, I brought myself back to sanity. Over these 11 haunt tours and 15,000 haunt owners as our guest, we've probably spent 4 to 5 million dollars are renovations and upgrades. That is simply crazy lets just call that for what it is CRAZY... so yeah I guess I'm crazy. I still have amazing idea's I love to create new things, but right now I'm just not feeling up to anymore haunt tours. 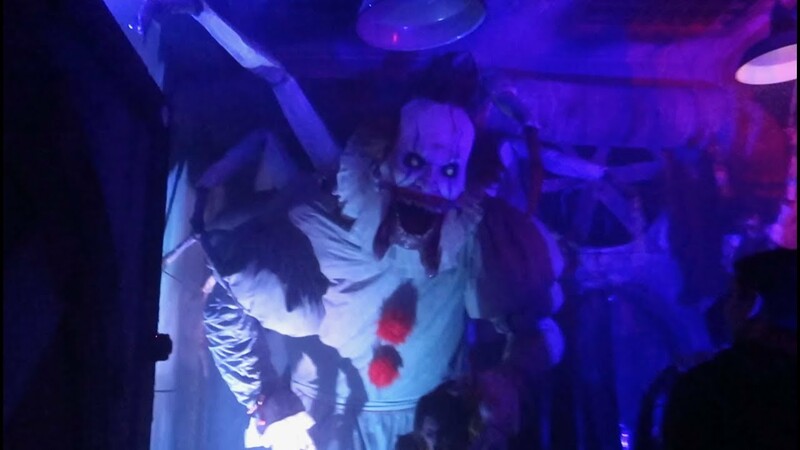 I've offered our haunt to Transworld to host an event, maybe they will or maybe they won't. But I can't really do it anymore at least not right now. I can't wrap my head around it and even though I haven't slept in like 10 days I still can't sleep now. I'm like a walking zombie right now STILL! So without going into more detail I again wanted to THANK EVERYONE who has attended not only this year but every year! 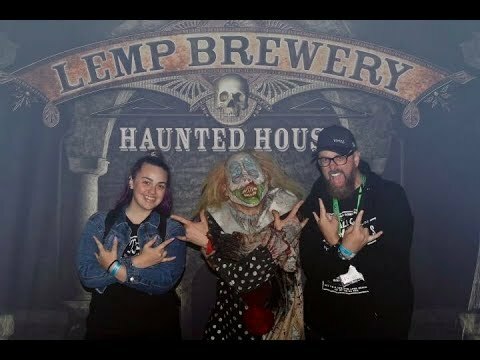 My only goal is to help the haunted house industry, and even though I'd like to have back those 4 or 5 million bucks, I wouldn't change anything because I really feel we've impacted many attractions across the World. That is a reward that just goes without saying. Maybe the Transworld show moves out of St Louis, maybe not, these are memories to last a complete lifetime. Thanks again! Seriously thanks for all the support and all the comments both positive and negative... mostly negative ones because those inspired me to do my very best which I did every single tour!!! Again THANK YOU! Lastly none of this would have ever been possible if not for every member of our team who put up with me, worked so hard, so long as they felt the pressure as well. And I can't forget our biggest and best vendors who helped along the way, Unit 70, Ghost Ride, and Gore Galore are the ones who created most of the original props for the tours. As I think everyone knows Unit 70 was the biggest supplier of original props, so thanks to Bo who always tried to work with me on crazy idea's I came up with then made them better than I ever could have!!! Thanks to everyone and especially Brainstorm Studios they're simply the best ever! Last but not least thanks to Patti and my kids who sometimes never saw me for at least a month because it was sleep wake up work until 4 am. Many of the people on our team did the SAME EXACT THING... their dedication has been unreal. Now I must try to fall asleep and hibernate for at least a week or so... I'll be back soon! Then off to Creepyworld for our next haunted adventure. Thanks again! PS: I don't care if there are grammar errors because I type 100 words a minute and I'm just to FREAKING tired to re-read an inch of this... its all coming from the heart so screw grammar errors. PSS: I will post pictures of our Creepyworld renovations as I have always done so keep watching. Its pretty funny watching this guy go thru... seems like there was a lot of youtubers coming to Transworld this year.